Filled with tales of adventure and astounding reversals of fortune, The Rise of Athens celebrates the city-state that transformed the world-from the democratic revolution that marked its beginning, through the city's political and cultural golden age, to its decline into the ancient equivalent of a modern-day university town. Anthony Everitt constructs his history with unforgettable portraits of the talented, tricky, ambitious, and unscrupulous Athenians who fueled the city's rise. 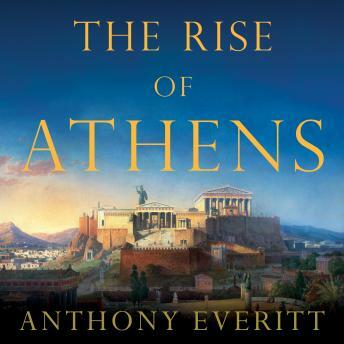 An unparalleled storyteller, Everitt combines erudite, thoughtful historical analysis with stirring narrative set pieces that capture the colorful, dramatic, and exciting world of ancient Greece. Although the history of Athens is less well known than that of other world empires, the city-state's allure would inspire Alexander the Great, the Romans, and even America's own Founding Fathers. It's fair to say that the Athenians made possible the world in which we live today. In this peerless new work, Anthony Everitt breathes vivid life into this most ancient story.